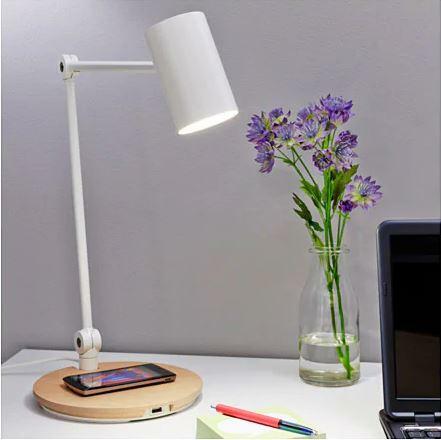 This Ikea Riggard lamp is functional, stylish and to top it off, it also offers wireless charging for your phone. It works any Qi certified phones such as the iPhone 8 or the Samsung Galaxy S6 or newer models. This saves you from having a tangle of unsightly wires across desk, so you can keep your workspace minimalistic and uncluttered, it’s also great as a bedside lamp, so that when you reach for your phone in the morning, it is already untethered. The best thing about this lamp is that you can actually charge two devices at once, as it supports a USB port at the front. In a world where each of us would normally carry more than one device at any one time, this is an added bonus.